After yesterdays keynote speaker took to the stage, it was plain to see why the conference is so rightly named Microsoft Inspire. 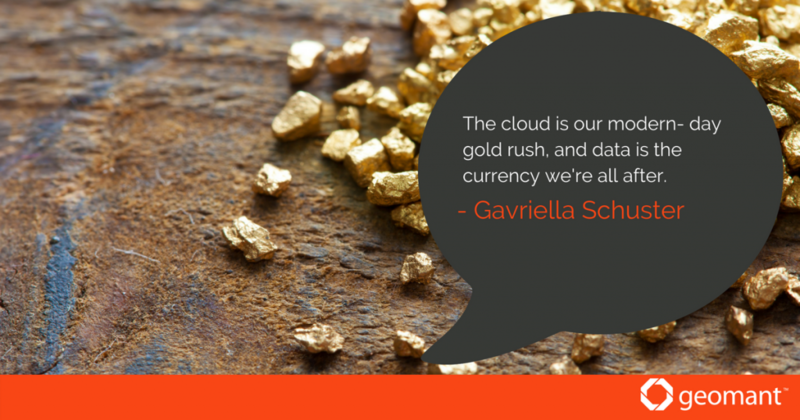 Gavriella Schuster gave a talk on cloud technology comparing it to the gold rush, an interesting analogy. "The cloud is our modern-day gold-rush and data is the currency of the cloud. Back in the 1850s, the conversation was all about the excitement of mining the gold, just like today, the conversations are all about mining for data. But gold isn't where real fortune came from. The real fortune was built from the communities, from the commerce and from the industries that were born. Just like today the fortunes will be made from the infrastructure and the capabilities that you're all building around the cloud." At Geomant we also believe that data is the modern-day currency, and after Gavriella’s talk, it’s clear to see that we are moving in the right direction; building out our solutions and infrastructure with a focus on the cloud.